I have been more than thankful for the opportunity to work with thousands of moms; helping them achieve their personal breastfeeding goals and listening to their breastfeeding and pumping experiences. One thing I and my team couldn’t overlook during these conversations was the number of moms sharing challenges when they returned to work. Would they be seen to have the same commitment as other employees? Would they have the support needed to breast pump at work? We wanted to explore further so in September, Aeroflow commissioned a third-party survey of 774 expectant moms between the ages of 18 and 40. The results show us that while more and more moms are returning to work while breastfeeding, we still have a long way to go to understand and support them. 49% of expectant moms are concerned that breastfeeding at work could impact their career growth, and 63% of expectant moms feel as if a stigma is attached to breastfeeding at work. While over 75% of moms plan to breastfeed upon returning to work, less than 50% actually know their company’s breastfeeding policy and only 46% have an adequate lactation room at work. These numbers are unacceptable by anyone’s standards, especially when many studies show that breastfeeding is beneficial for mom, baby, and employer — particularly for mothers who breastfeed for at least six months. Want to know how you can make a difference at your job? Find your employee handbook (you know you have it somewhere) to see if your company has an official breastfeeding plan. Do this well before your maternity leave to give your employer enough time to create a policy, and if they don’t, suggest creating a taskforce to create one. Start by viewing Pregnant @ work to learn your state-specific rights under the law. Then you’ll know exactly what your employer has to provide, such as reasonable break time to express milk or a private space other than a bathroom to breast pump at work. This resource also provides advice on how to speak to your employer about breastfeeding. Reach out to other moms at your job and ask them what their breastfeeding experience was like. They might have a few tips unique to your work environment to help make pumping easier. Set up a meeting with your supervisor or HR specialist to discuss your plan to breast pump at work. Again, this should be well before your maternity leave to give your employer enough time to prepare. Make sure your employer realizes that you’ll need to take a 15 to 20-minute breast pumping break every few hours. Also, if you’re feeling nervous be sure to practice the conversation beforehand to build your confidence. Provide your employer with examples of how breastfeeding is beneficial for them, yourself, and baby. Studies show that with breastfeeding support, moms are more productive, loyal, and turnover rates decrease. Employers also tend to save $3 for every $1 invested in their moms. If your employer doesn’t already have a lactation room, they may not know where to start. It could be to have a list of what you need, like access to running water to clean your breast pump at work, a flat surface to place your pump and accessories, a fridge for the purpose of storing breast milk only, and a chair to relax in. This article has some great tips on what the room should include. It’s time for workplaces to catch up to today’s modern age as more working moms exist in a variety of industries, including typically male-dominated fields. 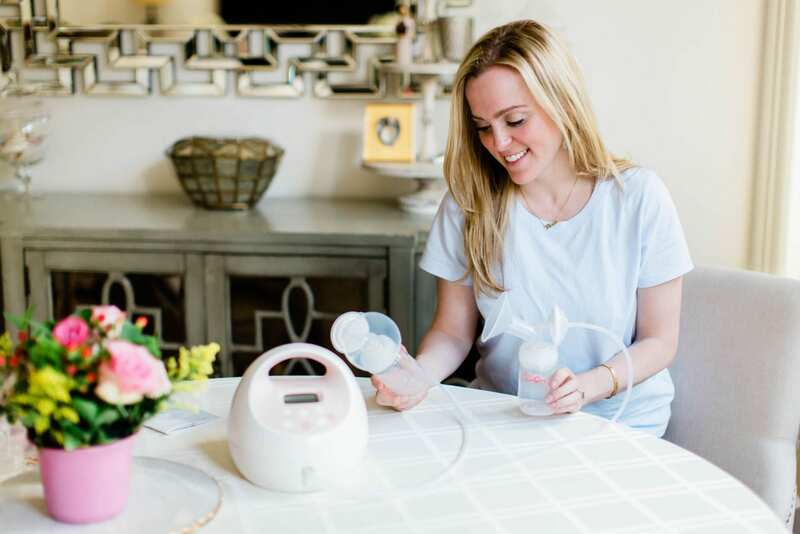 Even though portable breast pumps have made it easier to accomplish breastfeeding goals, work environments need to provide moms with the necessary support to help them reach the pumping finish line. Jennifer Jordan is the Director of Mom & Baby at Aeroflow Healthcare.